Glee has not had a new episode air since before the holiday break. Sometimes that’s how networks do things, they shuffle the schedule around a little to accommodate for this and that. Or, like in FOX’s case, they air repeat episodes. But last night a brand new episode aired right after the Super Bowl! It’s been a long wait for the Gleeks, and here’s a look at why Glee has been such a fan favorite. Part of the great charm of Glee is the song and dance talent. But even without the musical numbers, creator, writer and director Ryan Murphy along with partners Brad Falchuck and Ian Brennan have consistently and successfully blended the dichotomy of comedy and drama. It’s a balance that could work well enough as a stand-alone premise for a solid TV show. In “The Substitute,” while we laugh at Terri’s attempts to comfort and nurse Will in his sickbed, we are disgusted when her comforting turns to seduction, and Will succumbs. It’s not that we feel bad for Emma exactly (she’s with Carl anyway), it’s more a feeling of horror because we know that Terri has been pretty damn evil and Will deserves better. In “Never Been Kissed” the hormonally crazed boys conjured up bizarre images of Coach Beiste in an attempt to dampen their sexual urges. The fantasies were pretty funny. But when Murphy shows the real human suffering of Shannon Bieste, a woman who has always had to defend her looks and manners, the boys’ guilt can be internalized by the audience as well. A superb balance of joy, laughs, terror, and frustration played out in “Furt.” Sue Sylvester has thought long and hard about what she wants out of life, and realizes that she is her own best friend and soul mate, so she plans a wedding – to her self. Jane Lynch’s portrayal of Sue is always hilarious; she deadpans her snarky comments perfectly. We love, love, love Sue’s nefarious doings, even when she attempts to disband the beloved New Directions – she’s just so good at what she does. But Murphy has slowly shown us other sides of Sue, her genuine, albeit secret, attempts to help New Directions at Regionals and her tenderness with her sister Jean. The addition of comedienne Carol Burnett as her mother Doris naturally sets us up for laughs, but the laughs become nervous smiles when we listen to their dialogue. Now Sue’s acerbic nature makes sense, her mother is horrible! As Doris opens up a dusty script of abuse aimed at her daughter, as well as whoever else is in her way, we gradually see Sue’s frustration build. Could this be why Sue sincerely seems to care about what Kurt has been going through? Because most Glee episodes contain some parallel plot lines – in this instance Kurt’s being bullied, no, terrorized, by football meathead (and closet gay?) Karofsky – the corresponding bit about Sue and her mother allow us to see her emotional wheels in motion. And don’t forget the tearjerker episodes: “Dream On” and “Journey” from Season One are fine examples. In “Dream On” Kevin McHale as Artie nails the angst of someone who thinks he’s reconciled his prognosis of a life in wheels, only to try and hope again that maybe, maybe he could walk someday. His emotional struggle is heartbreaking. And the same episode involved Rachel’s dream to find her biological mother, a difficult situation made worse by Jesse’s manipulations. “Journey” was a rollercoaster of emotions too. The season finale told the story of the glee club’s visit to Regionals and their loss to the evil Vocal Adrenaline. In the same episode a very pregnant Quinn barely made it through the performance before her water broke. She was rushed to the hospital with an entourage the New Directions kids to deliver a baby girl, Beth. Watching her go through labor and delivery was intense, and then bittersweet, when she signed away her rights to the child through adoption. Glee always has plenty of tearful moments, either wrenching or joyful. Quinn’s parents shunning her and her pregnancy, Finn breaking up with Quinn, Finn breaking up with Rachel, Burt’s heart attack in “Grilled Cheesus,” Burt and Carols’ wedding vows, and Artie – walking. In my next Glee-centric post, I’ll take a look at some of my favorite musical numbers. Until then, keep the beat. 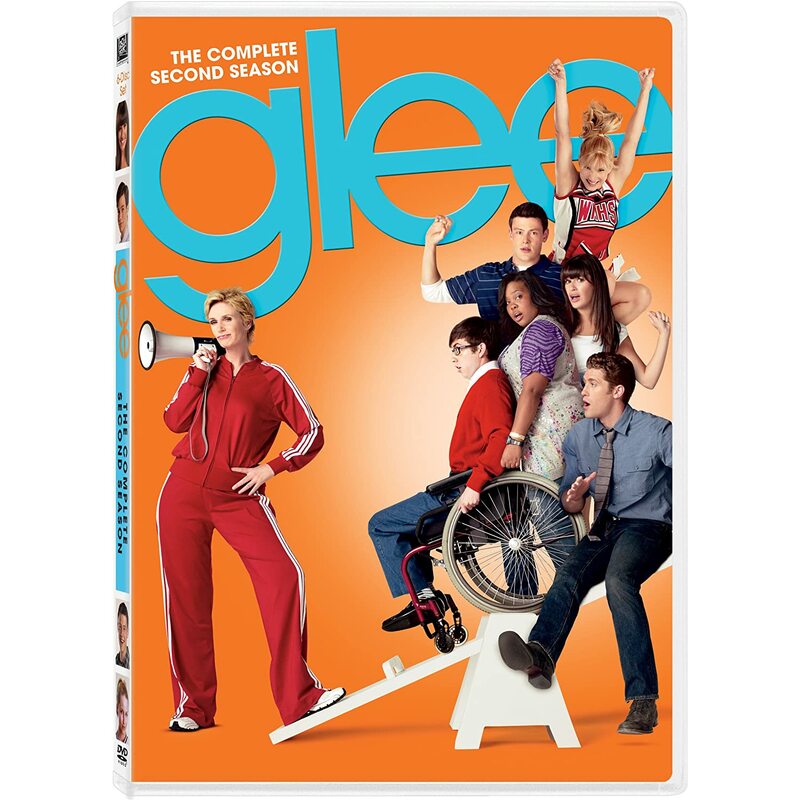 Video: Glee, "The Sue Sylvester Shuffle"